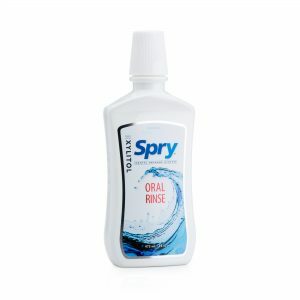 Cool and refreshing Spry Oral Rinse with all-natural xylitol, a great-tasting natural sweetener with unique dental benefits. 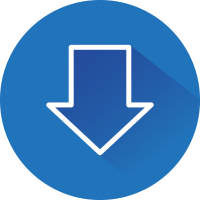 It is quick and easy to use! 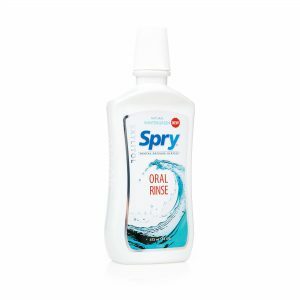 A 60-second rinse with Spry Oral Rinse reaches parts of the mouth that may be missed by brushing alone. When used daily, this mouth wash helps wash away bacteria and keeps your mouth clean and leaves you with great tasting breath. Brushing alone, while helpful, is only part of sustaining oral health. 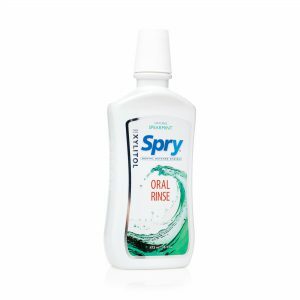 With this xylitol-based mouth rinse, you will be able to experience a satisfying clean that will keep the bacteria out of your mouth longer. Use twice daily, once in the morning and once before bed. Swish for approximately 60 seconds. Breath-freshening oral rinses with low alcohol content are easier on the taste buds than their antibacterial counterparts and they don’t wipeout the good bacteria that live in our mouths. Although alcohol is a powerful germicide, it can be quite strong, irritating and drying to our mouths.